This month, I'm once again reminded of how maligned peonies are as a multi-season plant. Everyone loves peonies, but many dismiss them as a one-hit wonder. I couldn't disagree more. 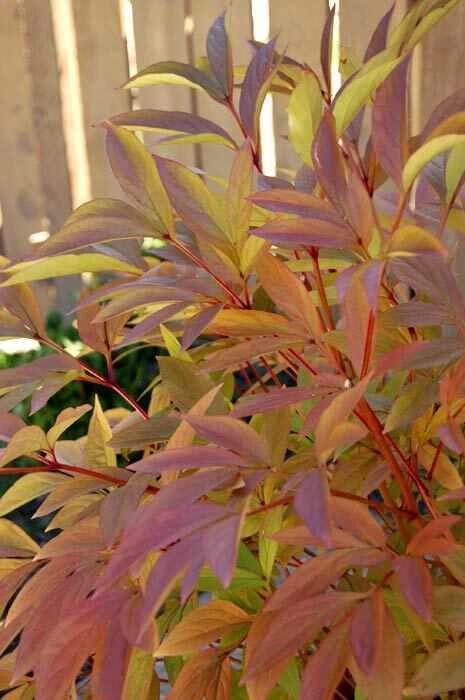 Their green foliage provides a lovely counterpoint to other flowers through the summer, and their fall colors are drop-dead gorgeous. Case in point, the peony foliage in the photo above. Isn't that pretty? Blooming in September were several hydrangeas, including this beautiful blue mystery that was here when I bought the house. 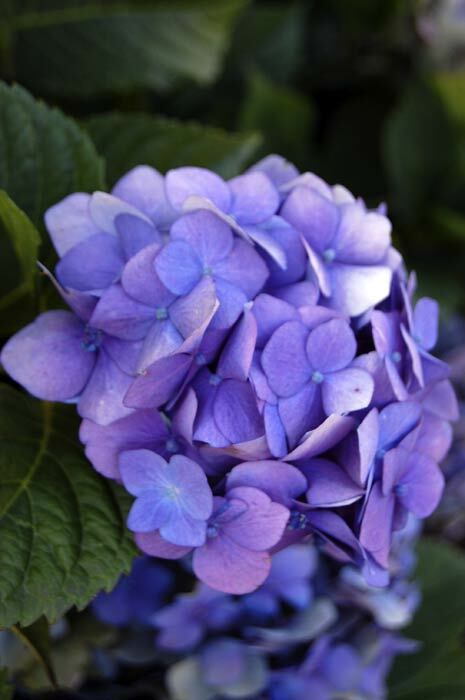 It's huge and multi-crowned, so I'm going to divide it this fall and spread the hydrangea love. My treasured Pee Gee standard (Hydrangea paniculata 'Grandiflora') also bloomed. I have it on the covered patio with all the other white flowers. The achillea (Achillea millefolium 'Cerise Queen') that was blooming in July is still going. Maybe not "strong" -- but still flowering, which I think is impressive. The agastache impressed me too. This is the first year I've grown it and it just bloomed and bloomed and bloomed. I believe this one is a variety called "Tutti Frutti" (Agastache x 'Tutti Frutti' ). These sunflowers (Helianthus annuus), one of many all over the garden, were a special treat because I didn't plant them! They just popped up everywhere. I mean everywhere! But they're fun and the color is great this time of year. How about you? Did anything impress you in your garden in September? This post is a part of the September Garden Bloggers Bloom Day, sponsored each month by May Dreams Gardens.